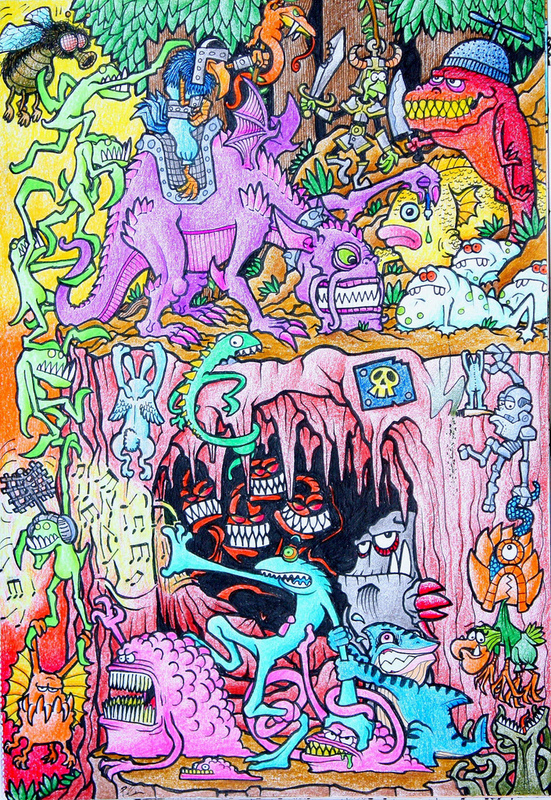 We recently found these awesome cartoon-like creature illustrations by Pollobros. 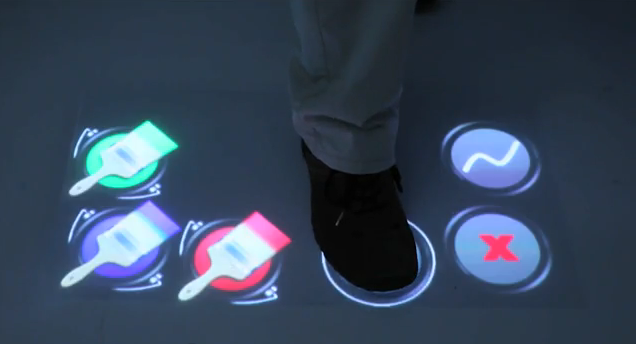 Direct touch surfaces much larger than tabletops, integrates high-resolution multi-touch sensing into back-projected floors. The key factor of the shown design is that it is based on frustrated total internal reflection sensing. FTIR allows it to identify and track users based on their sole patterns. The floor recognizes foot postures, distinguishes users who interact from people walking by, and enables high-precision interaction. In addition, the floor can approximate users’ head positions based on the pressure profile in the soles and it extracts enough details from soles to allow users to play first person shooters by balancing their feet. Research project by Caroline Fetzer, Thomas Augsten, Konstantin Kaefer, Dorian Kanitz, Rene Meusel, and Thomas Stoff in the Human Computer Interaction Lab of Prof. Patrick Baudisch at Hasso Plattner Institute, Germany. 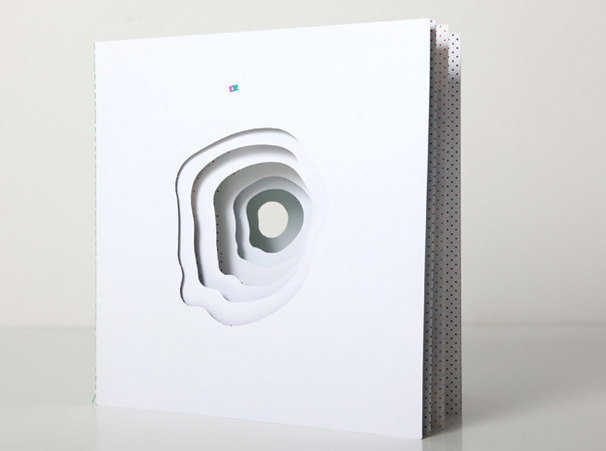 Recycled print brochure designed by ILoveDust. 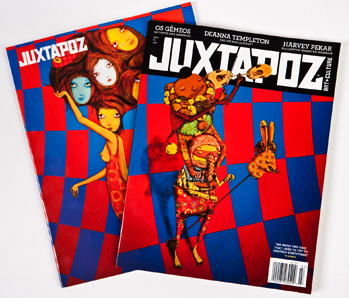 Brazilian art twins Os Gêmeos’ artwork will be featured on the cover of Juxtapoz Magazine for their July 2010 issue. Trivia: Os Gêmeos’ means the twins in Portuguese. 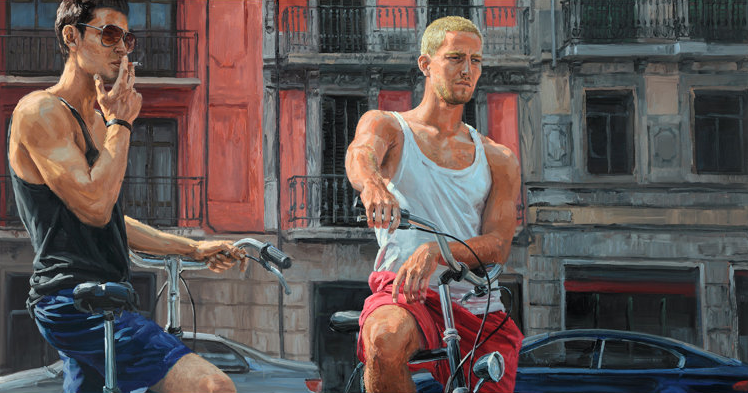 Italian artist Michele Del Campo’s new paintings in a second London solo show ‘Close Strangers’ at The Mark Jason Gallery in London opens July 28 and runs through October 27, 2010. Del Campo’s vibrant, uplifting, energetic, expressive paintings are pure observations of people and the world they live in whether walking in the street or relaxing on a warm Mediterranean beach. Crafted from silver 925, gold, palladium or platinum. 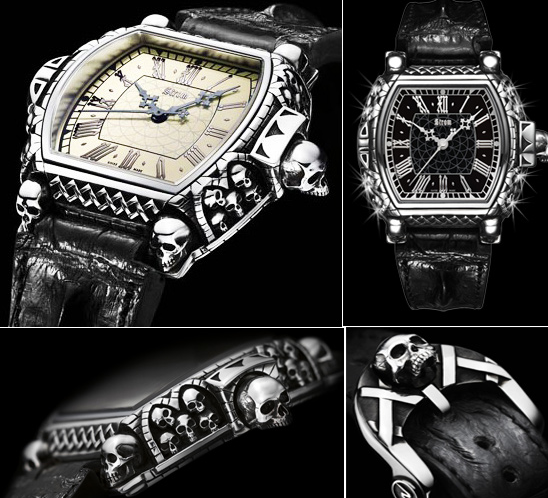 The most expensive version is the platinum with a $57,896 price tag, while the starting silver model from the collection will only cost $8,272. An Amnesty International video from Digital District™ VFX Post-Pro. Amnesty International is an organization that fights for global human rights. If inhumane treatment could only melt away. The video brings the message home beautifully.